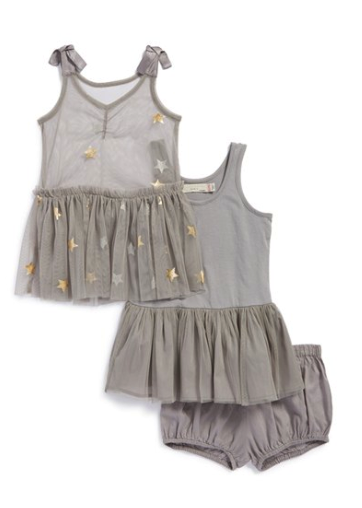 I LOVE this Stella McCartney Kids dress!! 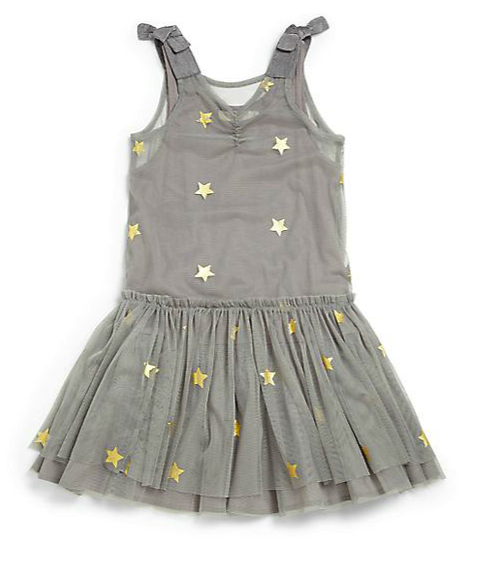 I will probably only ever have boys… My husband is one of 5 boys and all of his brothers have boys and I LOVE my little boy and wouldn’t trade him for anything – but this Stella McCartney Kids dress makes me wish for a little girl!!! Seriously, he tulle, the stars the layers – the sweetness. This dress is just so insanely cute and sweet and darling when I saw it I fell immediately in love and had to share it with all of your mommas of little ladies… I am obsessed with the Stella McCartney Kids line anyway, she has brilliantly designed clothes for our little ones that are sweet, darling yet also incredibly cool and modern. That said, this dress takes it to another level and leaves me wanting my only little baby ballerina. 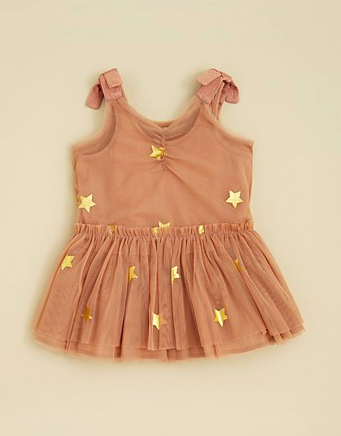 Check out this adorable little dress for your pretty princesses.